Mixed Wheel, Arbel System With Hub And Iron Rails And Rim Bais, Vintage Engraving. 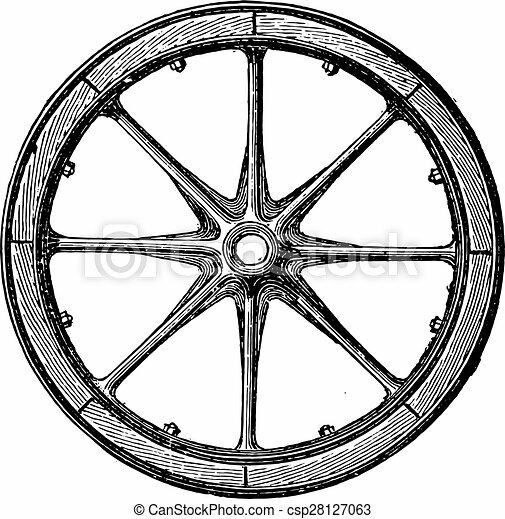 Mixed wheel, Arbel system with hub and iron rails and rim bais, vintage engraved illustration. Industrial encyclopedia E.-O. Lami - 1875.